There’s something special about a rye whiskey with a little age. I’m not a giant fan of really young rye. Two or three year old rye whiskies are best for cocktails, in my opinion. At around the six year mark, things start to get interesting. The young “green” note is no longer present, as the spirit has had some time to round out its edges. Though the sharp notes are mostly gone, the rye grain still brings that zesty spicy quality I look for in this type of whiskey. After a decade in the barrel, some rye whiskies, like this expression from Michter’s, can put you under a magic spell. The spirit mellows out and intimately intermingles with everything the American Oak barrel it ages in brings to the table – baking spices, vanilla and caramel. This release of Michter’s 10-year-rye whiskey marks the first special release from their new Master Distiller Pamela Heilmann. If you’ve read Fred Minnick’s beautifully written “Whiskey Women,” you’ll know women played an important role in the whiskey world. Whiskey is still mainly a male-dominated industry, so it’s refreshing that Michter’s has promoted Heilmann as their Master Distiller. She previously ran the Booker Noe distillery for seven years before joining the Michter’s team. The whiskey itself is a single barrel rye bottled at 92.8 proof. My sample came from barrel 17A37. It goes through one of Michter’s filtration processes before being bottled. The suggested retail price is $150. 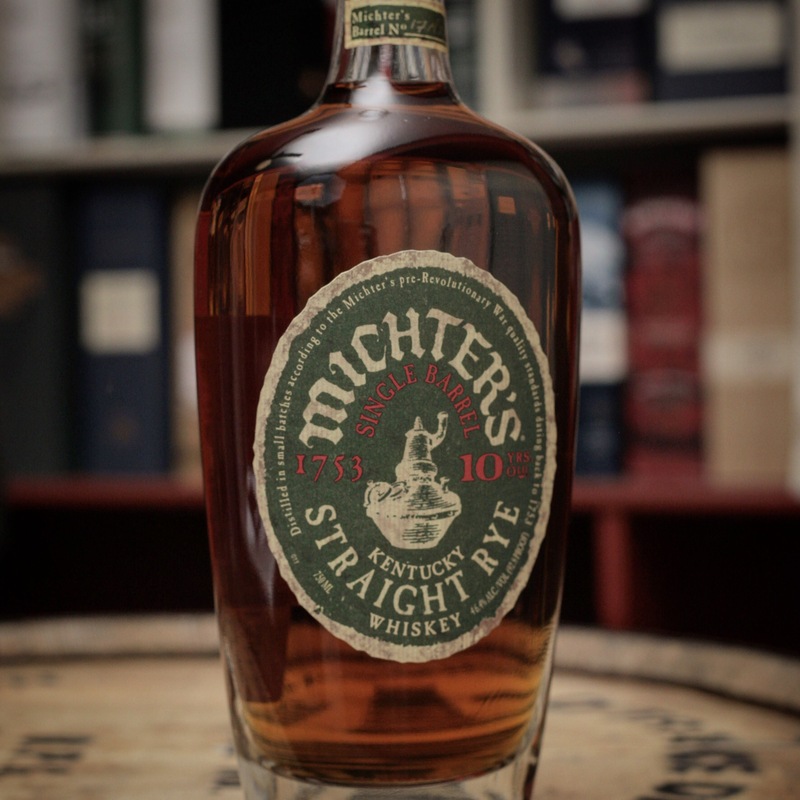 Michter’s 2016 release of their 10-year-old rye whiskey was one of my favorites of the year. How does the 2017 release fare? Wonderful aromas of figs, baking spices, brown sugar, and toasted rye bread fill the nose. On the palate, this whiskey is mouthcoating. An initial caramel sweetness is tempered by some rye spice, followed by hints of Madagascar vanilla bean, dark brown sugar, licorice and tobacco leaf. Slight oak tannins creep in during the medium-length finish, along with cinnamon candy and caramel. Do you have any knowledge pertaining to how they label each batch of whiskey? Also, can you please elaborate on why distillers do or don’t filter their whiskeys? Are their different types of filtering processes? Carissa, Michter’s 10yr Rye is a single barrel release. Each barrel number is labeled on the neck of the bottle. In regards to the filtering process, distillers filter their whiskies using different methods to remove certain flavors or to help shape the mouthfeel of the whiskey. I should write a post about filtering. That would be awesome please do! Thanks for the info as always. 2016 v 2017? Which did you prefer and did you let the 2017 open up? Anthony, both were wonderful whiskies. I slightly preferred the 2017 release. Keep in mind they are single barrel bottlings, so each will vary slightly. The bottle was only open for a week or so before I reviewed it. I’m curious what a few more weeks will do to the whiskey.